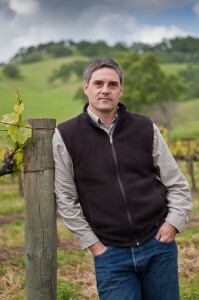 Since he arrived at EDF in 2006 (based in Sacramento), Holst has worked with landowners to develop conservation tools like habitat exchanges that benefit agriculture and the environment. He is an expert in developing strategies that improve livelihoods and environmental conditions on working forests, farms and ranches. Holst was previously executive director of the Resources Legacy Fund and program officer for the Doris Duke Charitable Foundation. He has also worked for the Rainforest Alliance and the Ford Foundation. 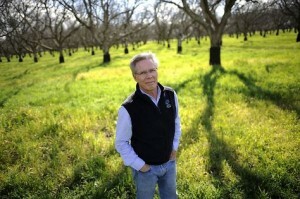 “Eric’s participation on the State Board of Food and Agriculture is critical in accomplishing the board’s mission of advising both the governor and the secretary of agriculture on all issues pertaining to California agriculture,” said Robert Craig McNamara, president of the California State Board of Food and Agriculture and Sierra Orchards, a diversified farming operation producing primarily organic walnuts. Holst got to know McNamara about 10 years ago when he worked as a consultant to the Center for Land Based Learning, a nonprofit that McNamara founded. “Craig has been an inspiration to me as someone who has found a way to be a great farmer while prioritizing environmental stewardship,” Holst said. California’s farmers, ranchers and foresters provide numerous benefits to the people of California including food, fiber and numerous ecosystem benefits such as clean air and wildlife habitat. 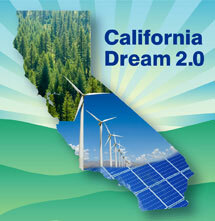 “I am grateful for the opportunity to continue representing these interests and to bringing wider-recognition to the multiple environmental benefits provided by California’s working lands,” Holst said. This blog originally appeared on our Growing Returns blog. This entry was posted in Ecosystem Services, General. Bookmark the permalink. Both comments and trackbacks are currently closed.